All of the coin jewellery crafted in PLENTYSWORKSHOP is made of original coins that have been in general circulation over the years. 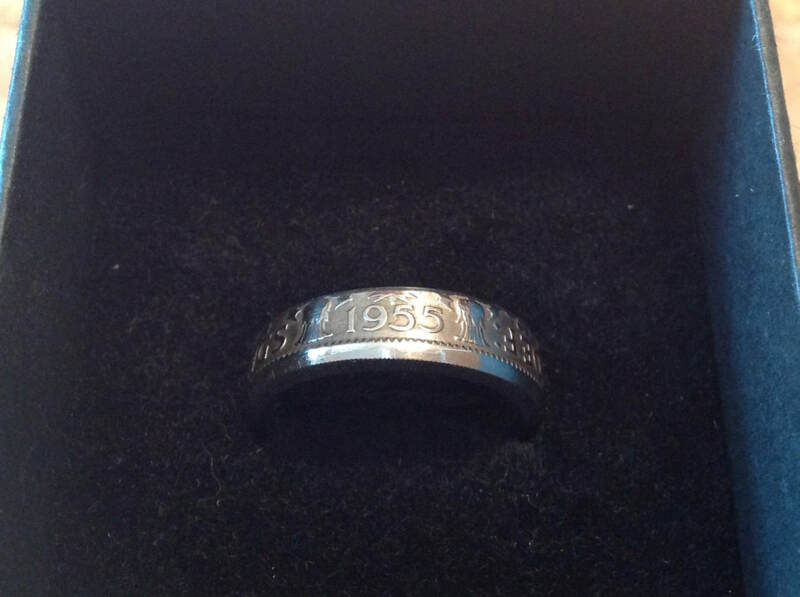 As a result, all coins for use in our coin rings, cufflinks and other jewellery are subject to availability. Our rings can be worn comfortably as finger rings or thumb rings. 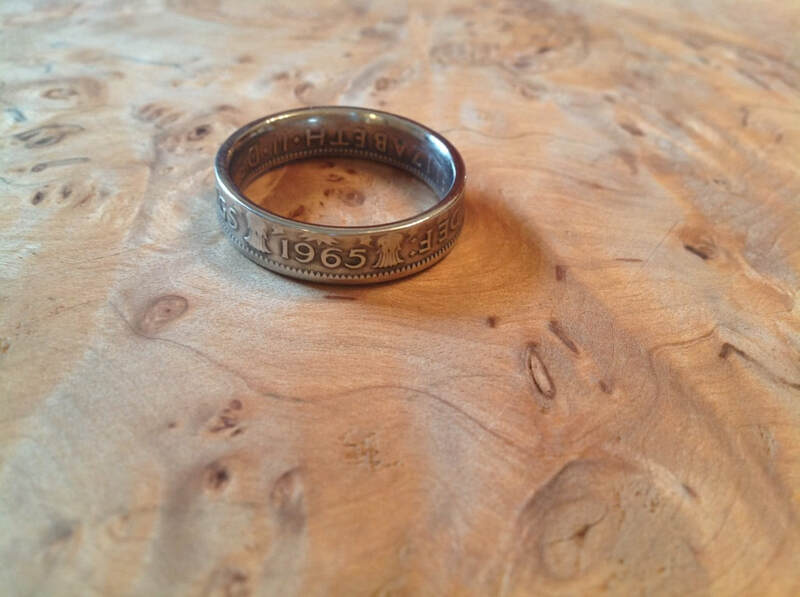 If you are interested in ordering a ring, please let us know the ring size and the date of the coin that you would like, and we'll do our best to find the most suitable coin for you. All coin rings are £27.00 each and are presented in a black gift box. The half crown ring is available in ring size Y to Z+ sizes. This is a very substantial coin which produces a ring suitable for larger fingers. The two shilling ring is available in ring sizes Q, R, S, T, U, V, W, X, Y, Z and Z+1. 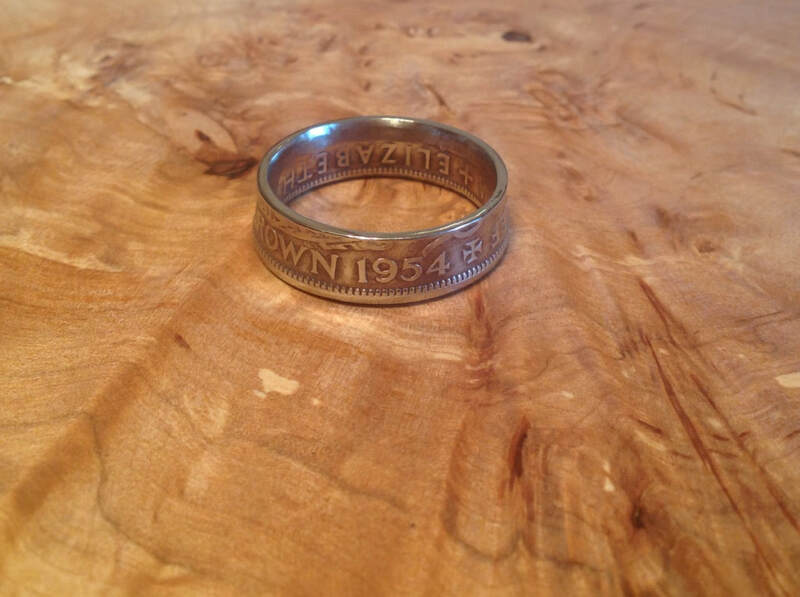 The threepenny ring is available in ring sizes I, J, K, L, M, N, O and P. The threepenny coin is twelve-sided, which produces a beautiful waved detail around the edge of the ring band. The halfpenny ring is made of copper and is available in ring sizes N, O, P, Q, R, S, T, U and V.
The farthing ring is made of copper and is available in ring sizes H, I, J, K, L and M.